Dating back to its early 20th century origins The Ivy in Covent Garden is known as a uniquely British institution, popular with the arts and media. From the outside the restaurant is characterized by its harlequin stained glass windows while inside the atmosphere is relaxed and convivial with green leather banquettes, wood and mirrors. Diners can also eat at the central bar. 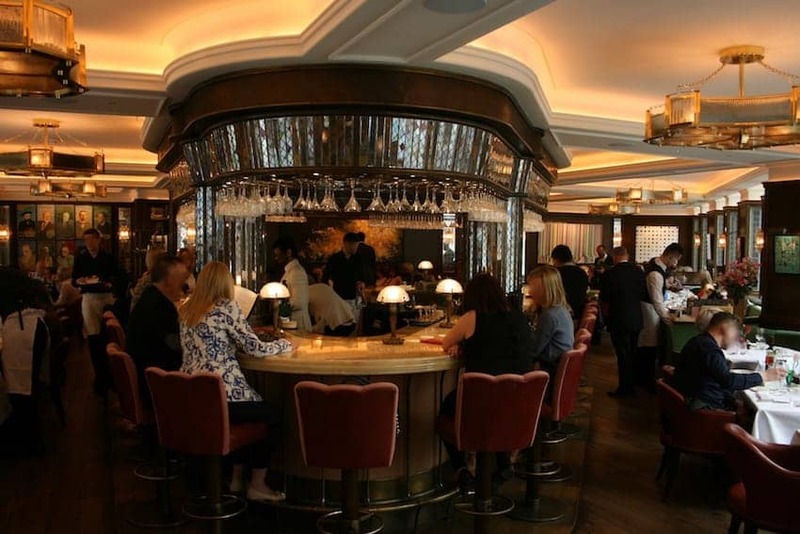 The menu features the Ivy's brasserie classics such as Cornish fish soup, and sausage with Colcannon mash, as well as Asian and southern European dishes, salads and a 'sea and shells' section.